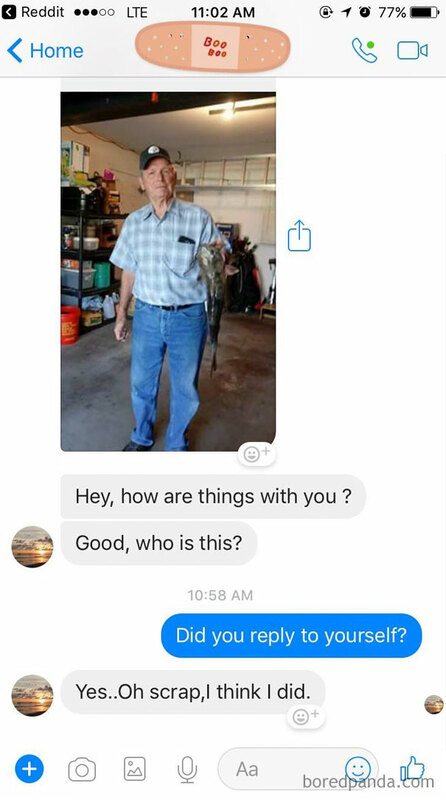 Grandmas and grandpas grew up with rotary phones, so you have to cut them some slack when it comes to communicating via fancy cell phones or Facebook. 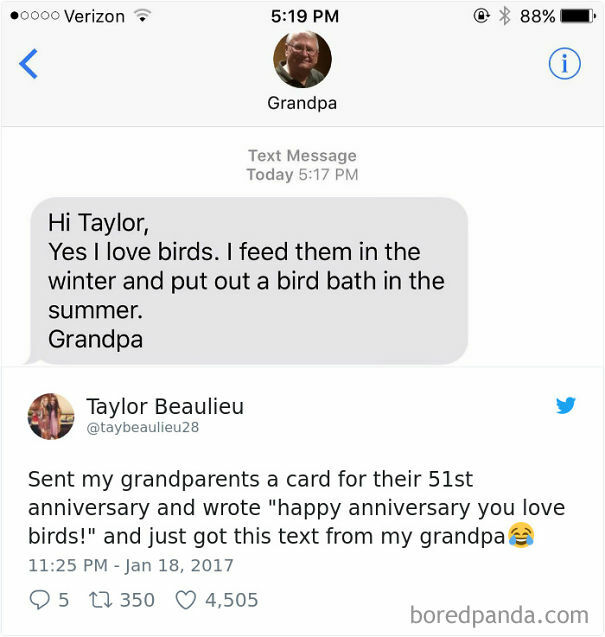 After all, they love talking to their grandchildren, and it’s a huge reason why they are trying to become tech-savvy in the first place. 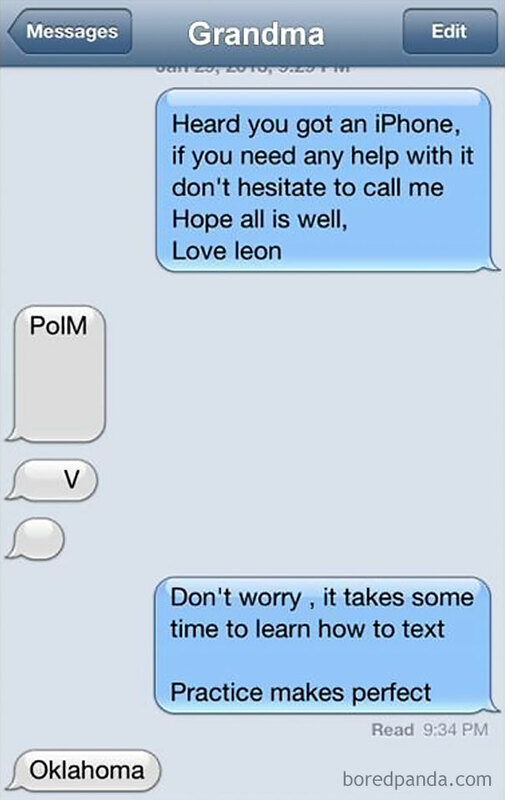 Some of these attempts, however, are quite funny. 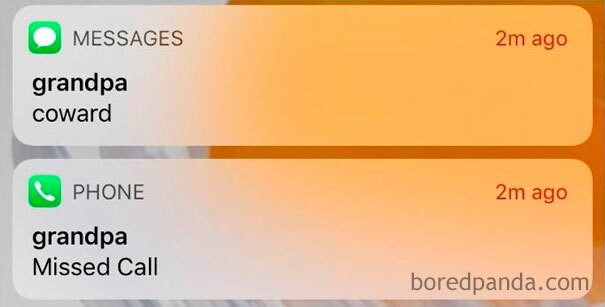 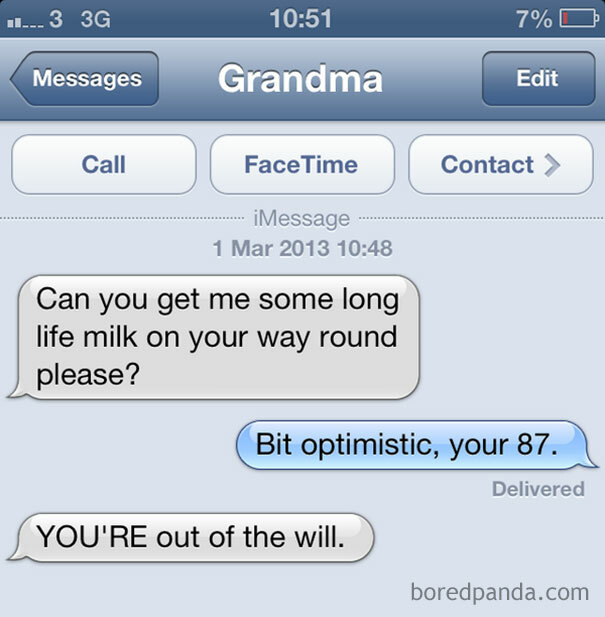 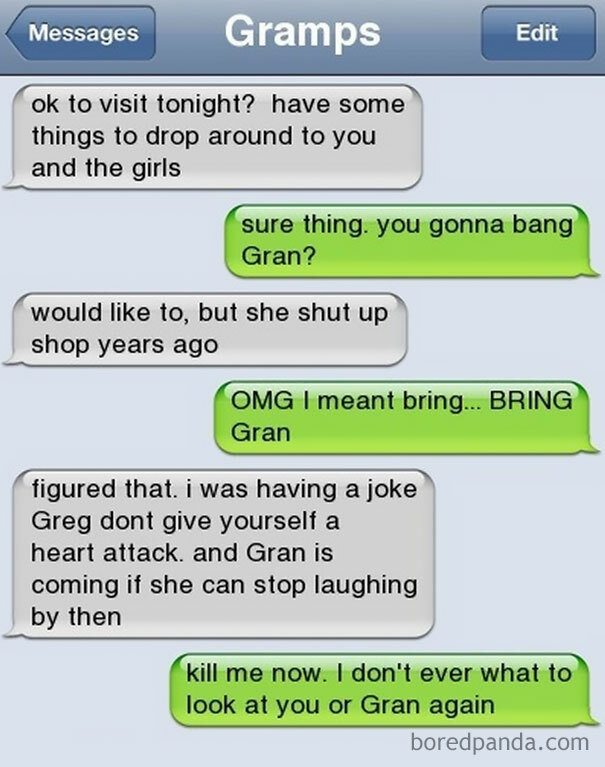 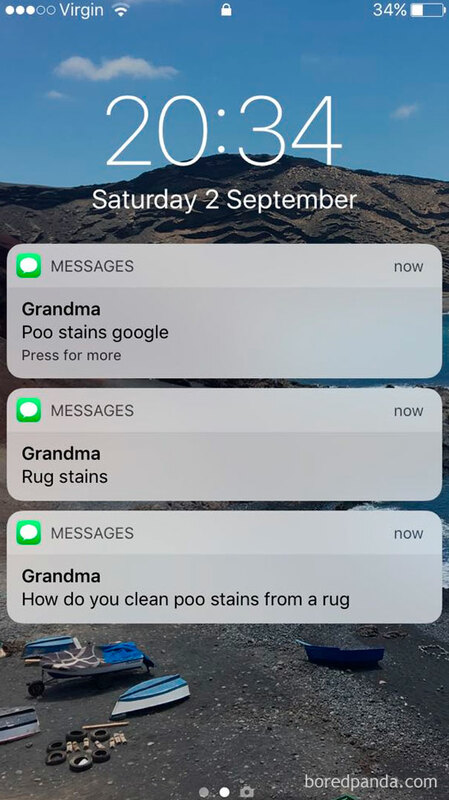 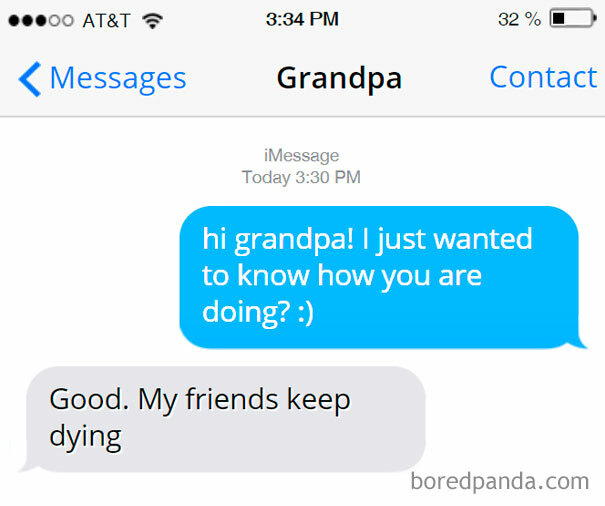 Here’s a list of priceless grandparents messages that probably provided entertainment for the whole family, and it will definitely make you text your folks more often. 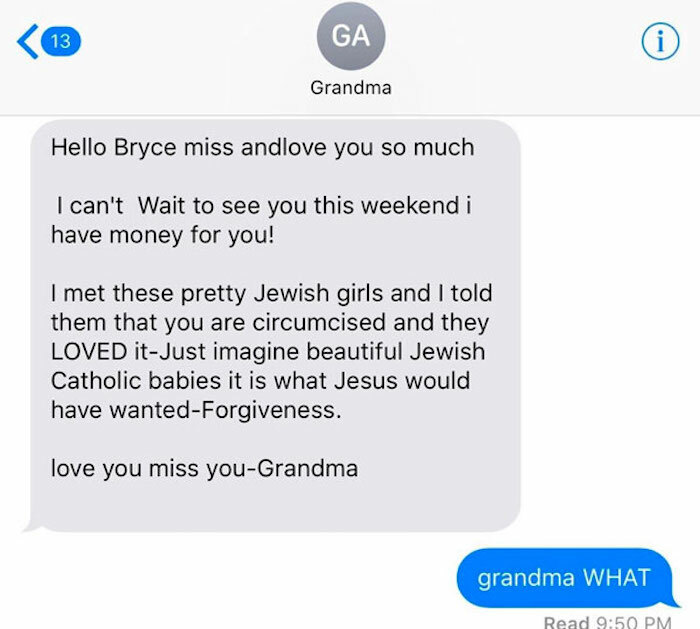 Stories about dead relatives and emojis of the middle finger aren’t always appropriate, but when these messages come from your grandparents you can at least be sure good intentions are behind them. 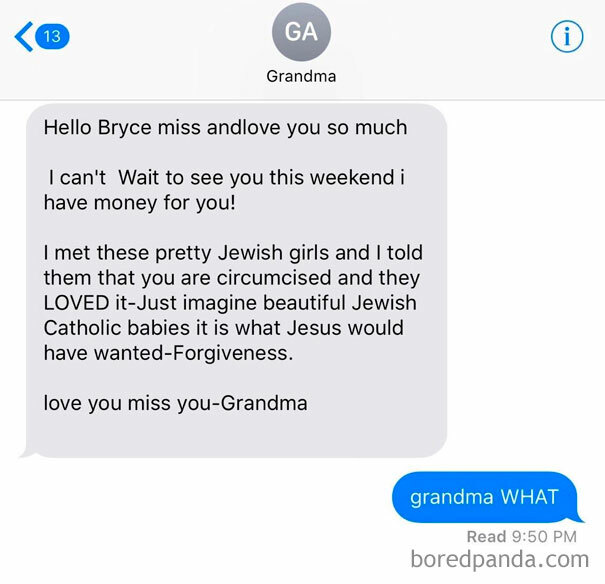 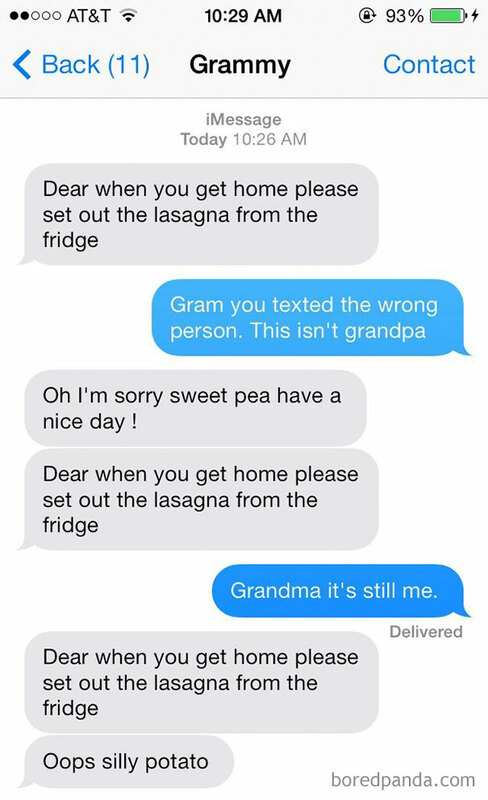 Scroll down to read some of the funniest things the elderly have texted their grandchildren and upvote your favorite submissions!